«Russian Ice Development» is a Russian company whose main activities are design, construction and installation of sports and entertainment cultural and mass objects in park areas and shopping centers. Since 2005, the company «Russian Ice Development» provides a full cycle of services for the creation of all necessary infrastructure at sports facilities. 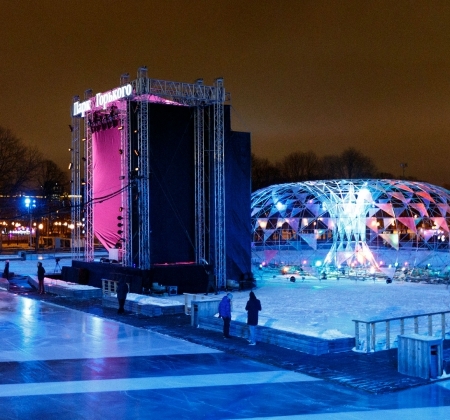 Since 2010, the company «Russian Ice Development» is engaged in the design, installation and operation of the ice rink in Gorky Park. 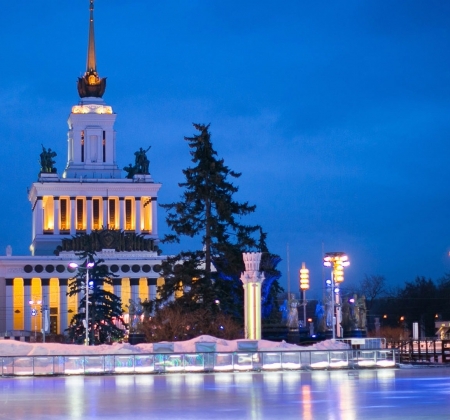 In 2012, the company «Russian Ice Development» took an active part in the program of the Moscow Mayor S. Sobyanin to organize the construction and increase the number of ice rinks in the Park of Culture and Recreation in Moscow. We designed, built and operated an open ice rink with artificial ice in Babushkinskiy and Krasnaya Presnya. Since 2014 the company «Russian Ice Development» is engaged in the design, construction and operation of the «Main Rink of the Country» at VDNH and the hockey site at VDNH. The World Records Academy in 2016 recognized the ice rink at VDNH as the world’s largest ice rink with an artificial ice cover of 21,100 sq.m. In 2015, the company «Russian Ice Development» has created and implemented a project of a beach sports and entertainment complex «Port on VDNH», which continues to develop successfully now. During the existence of the company, we have opened many rollers of various formats. These are all-season rollers in air-supporting structures, outdoor ice rinks with artificial ice, open ice rinks with natural ice and rollers in stationary premises. Perhaps year-round construction in any conditions, subject to compliance with technical regulations and rules. «Russian Ice Development» skating rinks are equipped with everything necessary for high-quality and modern leisure.